I have been a part-time Business, Media and ICT lecturer since 2002 and a freelance writer for 20 years. I research every topic given to me in detail because I like to ensure that my sources are accurate. As a professional writer, I am conscious that quality is key as is targeting the content to the correct audience, so forgive me if I ask clarification questions! I am also a fully qualified (London Chamber of Commerce & Industry) private & executive secretary with 80wpm & 100% accuracy. I will also SEO optimise your article to help increase your google ranking. My article will be engaging, and written for humans not SEO robots, in a natural and engaging voice, with no plagiarism! I always deliver the highest quality copy to your deadline and often before. I don't do sub-standard, and my work is always 100% original. I never outsource and stand over every single word I write. I pride myself on great communications with my clients keeping them informed at all stages of the project and asking questions if the brief is unclear, I like to exceed client expectations so my clients come back to me for further work! •	Is grammatically and syntactically correct in perfect UK or US English. 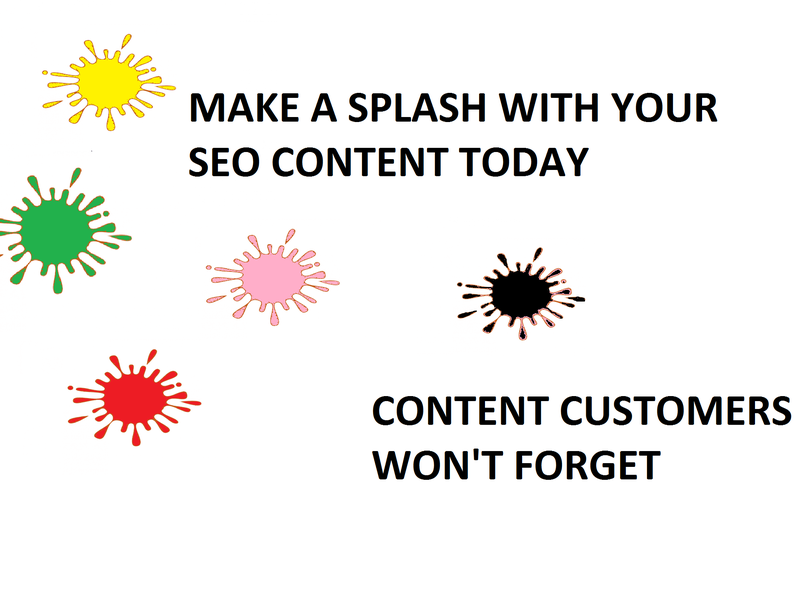 •	Has engaging quality content custom written to attract your customer-base. Please get in touch if you require any further custom work and we can negotiate a plan for your needs. 100% satisfaction and unlimited revisions until you are happy GUARANTEED EVERY TIME! A brief description of your exact requirements! Prompt work and good quality with subject understanding! Pleasure working with you Rob, looking forward to doing so again. Great smooth writing. Really like her writing voice and how she put the information together. Will definitely hire again! Thanks Alicia! Look forward to working with you again! Excellent! Will definitely buy again. Excellent article research and writing. Professional and responsive; an absolute pleasure to work with. Great work on the article, delivered quickly as well. Thanks you. Thanks Chris, pleasure working with you again. Pleasure to work with you once again Thomas. excellent as ever thanks Moira! My pleasure Robert, delighted to work with you again. I really enjoy working with Moira - Perfect blog posts every time! Aww Thomas thanks so much. My pleasure to. Work with you again. Thanks! Creative media, business and ICT guru, with journalism, marketing and HR experience. As a copywriter, I carried out copywriting for Bluechip clients in the Finance and Aerospace industry. I'm...Read moreCreative media, business and ICT guru, with journalism, marketing and HR experience. As a copywriter, I carried out copywriting for Bluechip clients in the Finance and Aerospace industry. I'm here to tell your story, bring your ideas to life, and get your message across. I also teach IT, Business and Marketing and design educational resources for the educational market. I passionately believe in great customer service and high standards of work. I never sub-contract, but complete each piece of work personally which is why my reputation is excellent. I like to write visually to engage my audience, a picture speaks a 1000 words. I NEVER outsource, I stand over every word that I write! Years of teaching has taught me what's important for an audience and I like to use examples to illustrate points. There's nothing worse than boring content! Conveying complex topics concisely without unnecessary jargon is really important when you have seconds to impress. Whatever your business, I can adapt and capture your message in a human, professional tone to help YOU impress. I have worked with Airbus, Axa Insurance and many other FTSE 100 firms. Please ask me to provide relevant portfolio examples rather than free samples. Description: As PA to the director and chief executive of a large local charity I had to liaise with managers, arrange meetings, travel and diary. I also had to minute board meetings and draft funding proposals. My duties also included audio transcription, writing, amending and word processing reports, as well as office management and management of other secretaries. Description: Carrying out political research on politicians, campaigns and lobbying and advertising and marketing activities. This included hospital closure campaigns, library closure campaigns, local issues etc. Writing reports and funding applications. Financial management. Description: Lecturer in ICT and Business. Writing assignments, writing notes, creating multimedia materials, assessing students, course management.